G.P. Putnam's Sons, 9780425230619, 448pp. 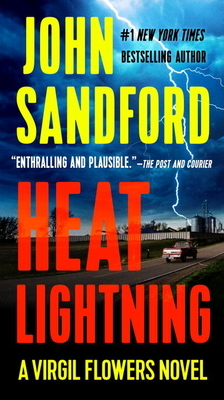 Virgil Flowers hunts a killer responsible for a strange string of murders in this thriller from #1 New York Times bestselling author John Sandford. On a hot, humid summer night in Minnesota, Virgil Flowers gets a call from Lucas Davenport. A body has been found near a veterans’ memorial in Stillwater with two shots to the head and a lemon in his mouth—exactly like the body they found two weeks ago. Working the murders, Flowers becomes convinced that someone is keeping a list—with many more names on it. And when he discovers what connects them all, he’s almost sorry. Because if it’s true, then this whole thing leads down a lot more trails than he thought it did—and every one of them is booby-trapped.